It’s not very often that so many people know well in advance that an election theft is about to take place. The DNC, led by disgraced Chair Debbie Wasserman Schultz, demonstrated that the thoroughly corrupt Democratic party had no reservations whatsoever about stealing the primary from Bernie Sanders. Sanders was a quite willing accomplice, unknown to his loyal supporters in the carefully planned conspiracy to defraud the American voters. With so much more at stake in the general election, it’s clear that the DNC has approved of every form of election fraud ever tried. The entire campaign season has already seen a completely rigged debate process, as well as countless attempts by the mainstream media (MSM) to fix the result via patently false poll data. The MSM has likewise worked overtime to fix the electoral outcome by reporting so much negative and fictitious information about Donald Trump, while avoiding so much damaging factual info regarding Hillary Clinton’ s multi-decade crime spree. As a matter of historical fact, no one residing on planet Earth has ever seen firsthand so many initiatives by the MSM to destroy a presidential candidacy like they have with the MSM war on Donald Trump. The electorate has witnessed an election year bloodbath that is without precedent, and highly unlikely to ever occur again. Which begs the question: Why has the establishment exposed themselves to such a great extent? First, it ought to be understood that it is no small feat to outright steal an election when the popular vote is running at a 65/35 split in favor of The Donald. This is precisely why the BREXIT vote could not be stolen by the BREMAIN side across the pond. The exit polls that were conducted throughout the UK, alone, were simply far too decisive. As the Wikileaks email scandal continues to drive voters away from the poll booth for Clinton, the feasibility of a naked election theft is diminishing by the day. 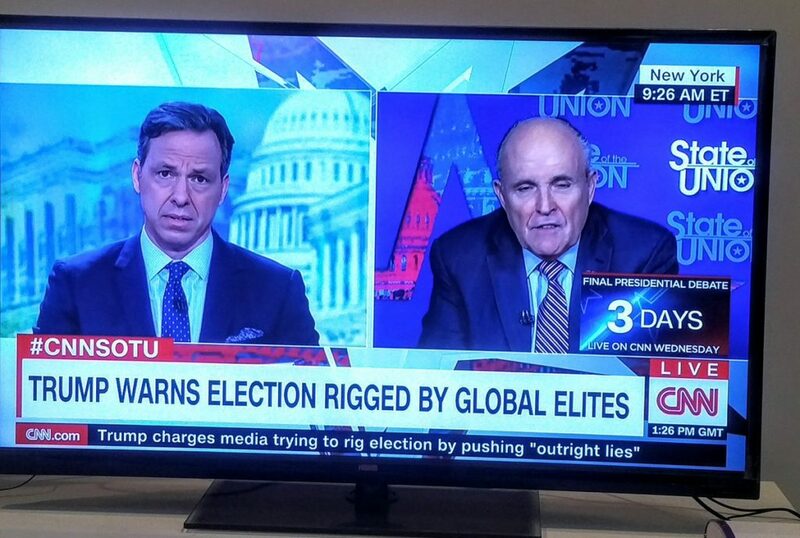 However, the 1% who really runs the American electoral process, as it controls every presidential election outcome, seems to be determined to shoehorn Clinton into the Oval Office. And, they intend to do so for very good reason. Therefore, they are more than willing to expose themselves because THEY MUST WIN this time around. They are operating on a very tight time schedule and a Trump presidency does not, in any way, facilitate the advancement of their clandestine and nefarious agenda. When the NWO ruling cabal is so dead set on stealing an election in broad daylight, it is easy to imagine that there must be a very good reason why. The following article lays bare the true agenda that is being desperately imposed upon the planetary civilization by TPTB. In fact, the cabal really thinks that it has no other choice at this time. They know that We the People are on to them, and that we are coming for them. They also know that the world is really a small place and that there is nowhere for them to run. Remember, the Congress works for We the People, as in ALL the people, not only the 1%. Back to the agenda; there are really several at work. The most important consideration is for them to keep to their timetable to accomplish two immediate goals: (i) to execute a perfectly controlled demolition of the Global Economic & Financial System and (ii) to initiate the hot phase of World War III. In both instances, Hillary R. Clinton is their chosen pawn to prosecute WW3 and oversee their engineered collapse of the economy. She has been trained and mentored to do this with great dexterity as her persistent prevarication clearly indicates. Husband Bill also provides the necessary presidential experience to carry on the job when Hillary’s Parkinson’s disease gets the best of her. This power couple relationship is not too different from the Wilsons of World War I notoriety, or the Roosevelts of World War III infamy. It was Woodrow Wilson who promised not to involve the USA in WW1 and then proceeded to. Similarly, Franklin Delano Roosevelt permitted the attack on Pearl Harbor so that the U.S. would be drawn into WW2. This time around it’s the Clintons turn. As a somehow enduring political dynasty, the Clinton Crime Family has shown that they will do anything for the accumulation of both power and money. A N Y T H I N G ! ! ! Now everyone knows why they were selected this time around — a World War III awaits their cynically chosen ‘leadership’. Whereas they both ought to be in prison, they know their only way out is the presidency. Both Bill and Hill are in fact “W A N T E D” … by some countries—Dead or Alive. Which brings US back to “ELECTION THEFT 2016”. Those who seek to foist a One World Government upon the world community of nations are truly hellbent on implementing the final stages of the New World Order agenda. There is simply no stopping them from attempting to follow through on this misguided scheme. Nevertheless, they will continue to carry out this foolish project that really does require a major depopulation event. For a One World Government to be accepted by the global populace, it must first be sufficiently softened up as only a World War can do. Especially when such a cataclysm occurs in tandem with an economic collapse and financial breakdown do TPTB think that they will be able to dictate to humanity regardless of where they are domiciled. Because the USA is the de facto policeman of the world, it is critically important that they completely control the POTUS. In this way they will continue to dictate to the powerless and defenseless, only much more out in the open. Which country, after all, wants to become an Iraq, or Syria, or Libya, or Afghanistan, or Ukraine, or Venezuela, etc. Or forever bullied like Iran. Much more importantly, the USA (plus NATO) has effectively functioned as the military arm of the New World Order. Hence, there is a vital role for the U.S. Armed Forces to play in this rapidly unfolding worldwide plot. While the balance of power has slowly shifted to the East, and particularly to the BRICS Alliance, the Anglo-American Axis still retains its ascendancy over world affairs. The attempted election theft of 2016 will go down in U.S. history as the defining moment of the American Republic. No matter what happen on November 8th and beyond, the stolen election will serve to rally the American people around a banner of massive political reform. Some are calling this period the beginning of the Second American Revolution. However it evolves, there is NO stopping the newly emerging will toward justice of We the People. As it grows by the day, such a collective resolve will only harden after Clinton & Company attempt to steal the 2016 presidential election. This may very well be the best outcome of all, for it will give the largest popular movement since the Vietnam War an immediate and provocative cause to advocate. Nothing will galvanize the Trumpsters and other citizens of conscience like a transparently stolen election. N O T H I N G !